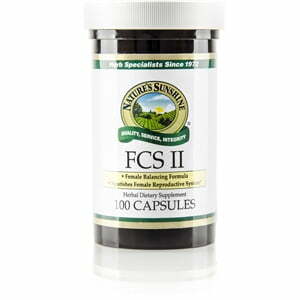 Nature’s Sunshine FCS II is designed to support the female reproductive system. 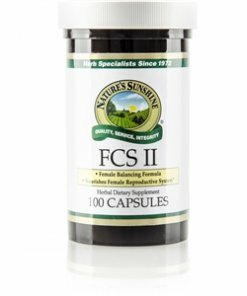 Several key herbs in this formula nourish female systems to assist in maintaining optimal health. Dong quai root works to support the circulatory system as well as the nervous system and immune system while queen of the meadow provides urinary system balance. Black cohosh assists in alleviating menopause symptoms in addition to nourishing the structural and muscular systems.